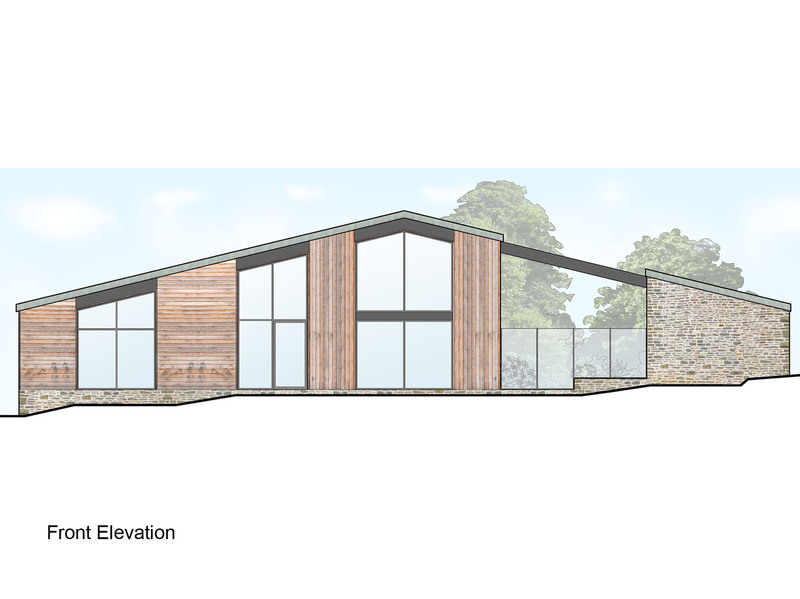 Hayes and Partners have gained planning consent for the conversion of a modern agricultural shed into a large detached dwelling. 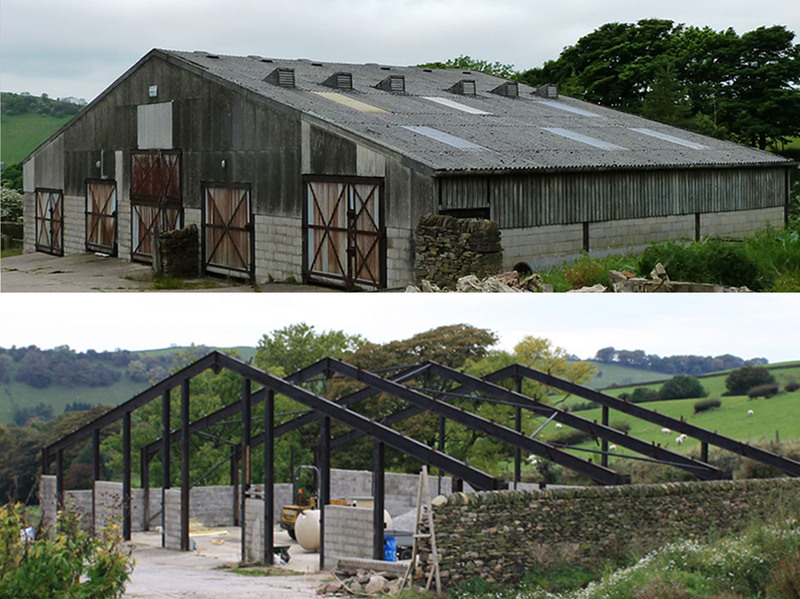 As the existing building was much larger than the client required, we introduced an open bay, a void volume within the steel frame, to break up the mass of the building. 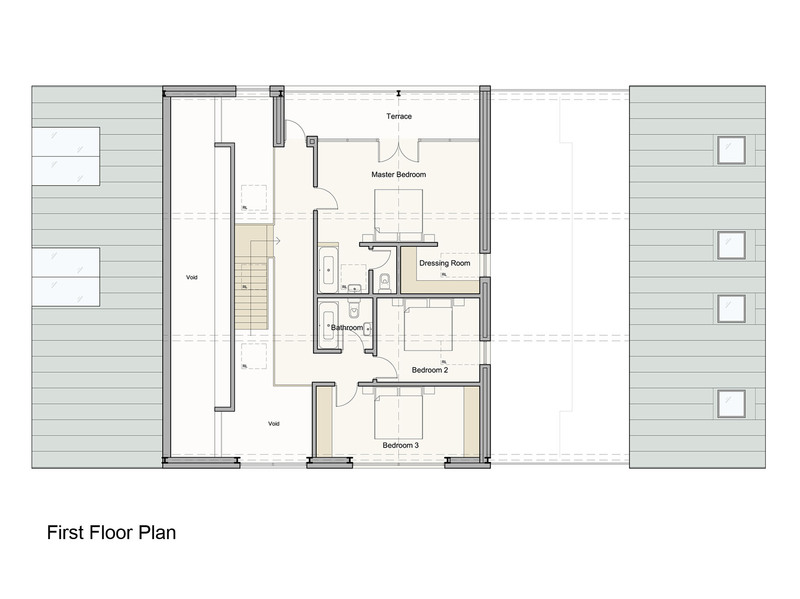 This in turn separated the main house volume from a smaller ancillary volume, with the open bay in-between. The open bay, protected from the wind by structural glazed screens, creates a private courtyard garden whilst allowing natural light to penetrate deep into the building’s footprint via courtyard windows. 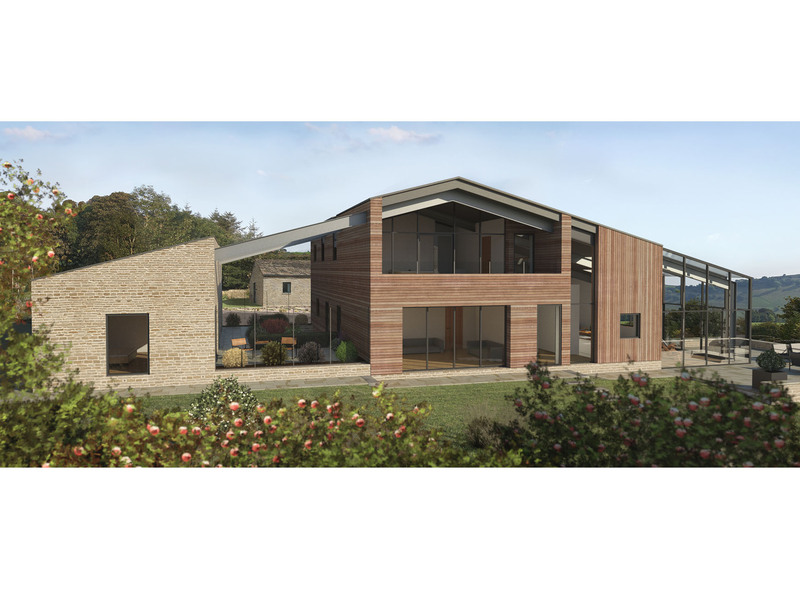 The ground floor level comprises a large open-plan living space with views towards the countryside, with the more intimate spaces looking onto the courtyard. 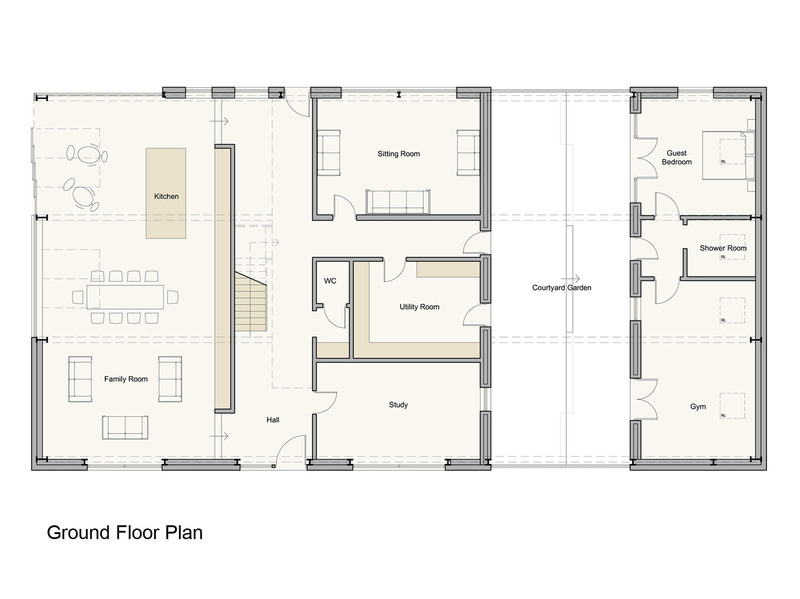 Three generous bedrooms are positioned above, at the centre of the house where the maximum roof space is available. 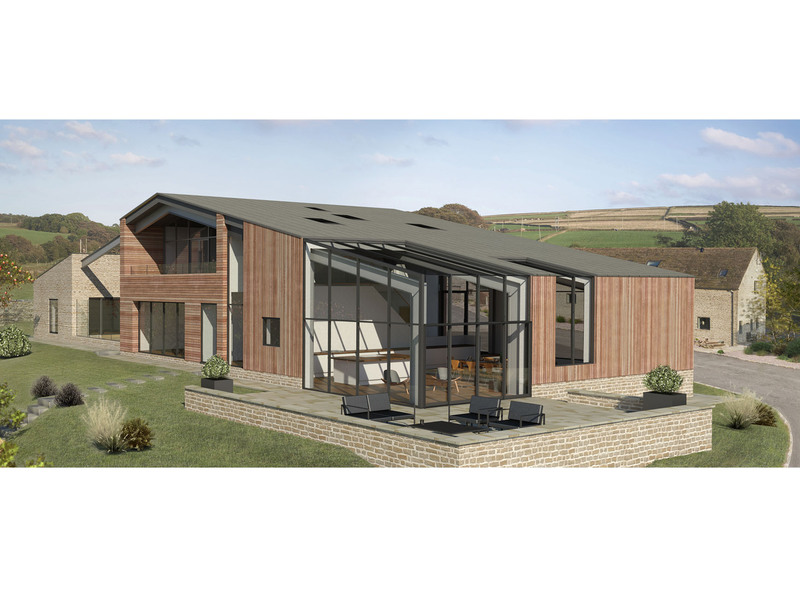 The building is within the setting of Listed stone farmhouse and barns. 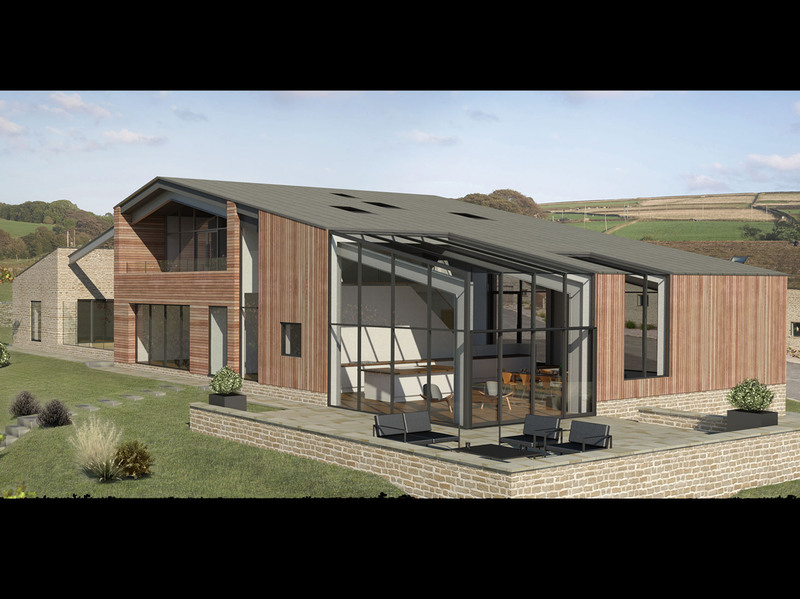 We carefully selected a restrained but complementary palette of stone and timber cladding for the external walls and zinc sheeting for the roof. 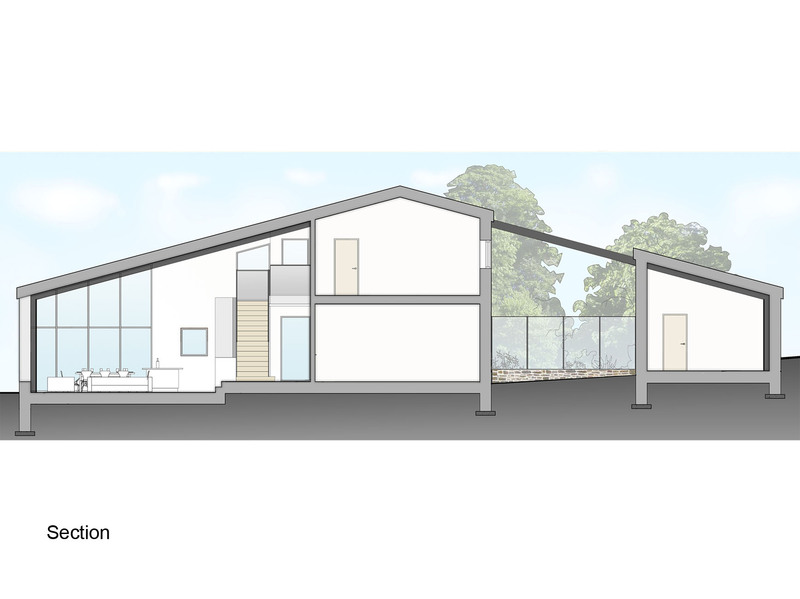 Subsequently, our elevational approach is contemporary in application but still appropriate to the rural context.